Sophocles has a famous quote that goes, “There is no success without hardship.” This quote could not be closer to the truth! While we had a wonderful experience at the Gordon Neighbourhood House, obtained results and learned some gardening skills, it was not without some obstacles and speed bumps along the way. In this blog post, we will detail these problems and the actions we will take in the future because of this experience. 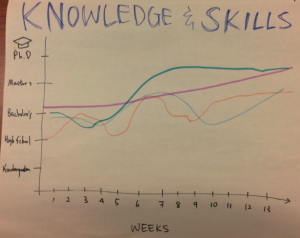 In the last three months, six of us from different majors in LFS worked collaboratively to address the knowledge gaps in current urban farming studies. We did this by qualitatively determining the social community-building aspect of Urban Agriculture (UA) with regards to community development and community food security. 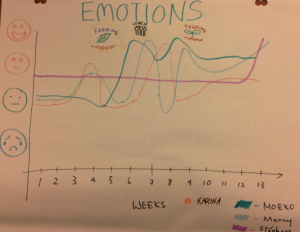 The emotion graph that we drew in tutorial class on November 1 reflected the rollercoaster of our emotions. Most of our emotions rose dramatically when we attended the farming sessions and the community lunch program while the emotions decreased by the time we worked on our proposal. Overall, the emotions trend went up as the project went well and everyone was on the same track. One big challenge that we faced in this project was the insufficient number of survey response from previous farming volunteers at GNH. As part of our project to measure the impact of UA, we were hoping to collect qualitative data and some stories to share about UA from the volunteer survey feedback. According to the 2017 coordinator log provided by our community partner, there were 44 people that have volunteered in the farm in 2017, but the number of responses was much lower than our expectations as we only received 9 responses. It was possible that the previous volunteers did not see the email to fill out our online survey. In addition, the previous volunteers could have felt discouraged to participate in the survey due to the gap between the time they volunteered and their volunteer experience. However, we were able to conduct some informal interviews and obtain observations from 6 other volunteers during our farming sessions, gathering their reflections and stories on urban farming programs. At the start of our project, we were planning on conducting interviews and taking observations on other community members who participate in GNH’s community activities such as the community lunch visitors, mobile produce market and food markets. However, as we proceeded with the project, we realised that we would not have the time to formally conduct interviews with the other stakeholders. This resulted in us focusing mostly on urban farming program volunteers, narrowing the scope of our project. This was a little saddening and we felt disheartened that we had to downscale our project. One of the things we learned from this project is how hard it is to conduct interviews and how to conduct them effectively. We had difficulty trying to get an adequate amount of responses to the online survey from the current and previous volunteers. Not only that, we had a hard time trying to interview people attending the GNH community lunches which eventually became one of the reasons why we did not conduct interviews with the other stakeholders. We originally thought about interviewing people while they are waiting fo for their meals to arrive at the community lunch. However, what happened was that we found it hard to casually ask questions or make conversations because they were engaged in a conversation with the other community members and also due to not knowing how to initiate conversation in such a way to include interview questions. This is something we could have done differently to effectively collect more qualitative data from wider range of community members. First of all, we could have done a better job by setting up a date to conduct a more formal interview with the people who came to GNH for lunch. Another thing we could have done was to make a questionnaire on paper to be filled out by the lunch participants. It would have been less disruptive and would be more comfortable way of gathering data. However, what was most important was probably to come up with a way to solve the difficulty we were facing collectively as a group. There were times we felt that group communication and discussions were lacking due to the difficulty in meeting up as a group outside of the class. Perhaps we should have tried to make a time to meet as a group to talk about our project to solve problems together. It is stated in “Communication in the Real World: An Introduction to Communication Studies” (2016) that problem solving as a group may take more time and could be burdensome, but there are great benefits. An effective decision making or problem solving as a group is based on a shared understanding of problem through discussions. This shared knowledge is would be more in depth and complex that that developed by an individual because of the exposure to different viewpoints and broadening of perspectives. Moreover, there could have been a greater benefit due to the diverse backgrounds of our group members. Going back to the early part of the LFS 350, we have learnt that diversity in a group can facilitate better discussion and foster creativity (Philips, 2014). So imagine what we could have come up with if we tried harder to work more collaboratively as a group? From this project, we can now apply the shortcomings we experienced to future projects. For one, we learned how hard it is to get survey responses and to conduct in-person interviews. If we were to do this in the future, we will have to prepare more beforehand and perhaps have some kind of incentive for online surveys if it is possible or ethical to do so. For instance, we could say you will be entered in a chance to win a gift card or voucher after completing this survey. Another important aspect of group work is communication. A way we can improve is to have regular communication and respond quickly to any messages received. This is because when one person’s message is left hanging, that can discourage them from communicating within the group. Hopefully, the group after us can also use this knowledge and be more well-prepared for this aspect of their project. Overall, from the results we obtained, we found that community-based urban farming connected participants with each other and made them feel a sense of belonging to the West End community. In addition, they were more confident about growing and harvesting vegetables as they all gained gardening skills to varying degrees. Also, this was an achievement for all of our group members. Beforehand, most of us rarely had a chance to farm or garden. Hence, we as all satisfied and grateful to get our hands dirty and obtain knowledge through this experience. We look forward to presenting our findings to a large audience at the student Nest. Maybe from our presentation, at least one person will try out urban farming! Get together and talk more about the final report in order to get a head start. Start gathering data with the final project in mind. On Oct. 24th we have been able to have a long personal interview with one of the long-term volunteer, Augusto, which shared with us how UA and volunteering at GNH impacted his life, and his view on the impact of UA on the West End community. On Oct. 25th we enjoyed another beautiful afternoon of gardening at the Freesia rooftop garden site. This time we planted peas and garlic, and sure enough, once again we got our hands full of probiotics. Harvesting wasn’t the goal of that week gardening, nevertheless, we ended up with 3 of the cutest zucchini ever harvest in BC, or at least that is what we think! During this week tutorial, we’ve been able to share our vision within our group about this evolution of our knowledge and our emotional rollercoaster up until this point. Those trends are represented in the following graphs. We have been able to finalize with Joey our list of questions for volunteers to answers, as well as added several other questions suggested by Joey and her leadership. As of this week Tuesday, the Google Form has been submitted to every volunteer (granted they have an email) for them to answer, and for us to start collecting qualitative data. The first thing that stood out as a group during the tutorial session and the Workshop was how much we enjoyed getting our hands dirty and reconnecting with Mother Nature. Those moments are easily spotted by the peaks on the emotional graph. We also found participating in the community lunches and interacting with volunteers highly meaningful as those interactions allowed us to connect the lecture notes and readings with our community, the city we live in, and what is currently happening and being done in the West End. Having experienced direct contact with community partners, volunteers and stakeholders in general gave us a whole new meaning and level of interest to our academic journey. Not to mention the extra layer of complexity that comes with real life situation! We also noticed that just like going out to the community affected our emotional state, the topic discussed during the lecture also affected our emotional state depending on how related to our personal experience the topic was. As our project comes to an end, we are taking time as a group to reflect upon the progress we’ve made this far. At the beginning of the semester we decided, alongside Joey, that the goal of our project was to assess the value and importance of the UA program at GNH. Throughout the term our group has been able to attend many volunteer farming sessions and multiple community lunches so we could talk to people involved in these programs. We have been successful in gathering input from volunteers through personal interviews and online surveys. Once we have collected all responses, it will lead us towards formulating our final report. Up to this point our group has stuck to the project goal and communicated with each other to ensure we are all on the same track. As the last few weeks of the term approach us, we will continue as a group to stick to our goals so we can successfully complete our project. When was the last time you got your hands dirty doing some farming and gardening? If you’ve never done it, or if you can’t remember when the last time was, we highly recommend you get your hands dirty soon! It is exceptionally rewarding and it allows you to not only get in touch with nature, but also to understand how hard your food struggles to grow. How do we know that? Because over the past two weeks, we have been going to Gordon Neighbourhood House (GNH) to help out with their urban farm’s harvesting, transplanting, and winterizing. Collectively we can say that it has been a very blissful experience and has allowed us to forget about the busy school assignments and midterms currently in our minds! To get together for another shift at GNH in order to discover the rooftop garden and to get our hands dirty again doing some winter planting! To take pictures for future usage in our final report, blog, and presentation, and for the future use of GNH. To go over survey questions with our community partner Joey, in order to create a Google survey that would allows us to reach as many volunteers as possible and collect qualitative data for our project. On Oct. 3rd, three of our group members visited GNH to volunteer at two urban sites. We helped with watering, harvesting tomatoes, and planting garlic. Three other community volunteers came, so we also had a chance to talk with them getting a brief understanding of their attitudes towards urban farming program. The community partner introduced their planting plan, crop arrangement and some gardening tips, including companion planting and compost usage. We completed the proposal report and final editing as a group before submitting on Oct. 8th. On Oct. 11th, we enjoyed an entire afternoon of gardening at the Freesia rooftop garden site weeding and transplanting kale, and we can guarantee, we got our hands dirty! We were able to collect several pictures, including before and after pictures that demonstrate our “gardening skills”. We have been able to establish a list a suitable questions with Joey that we will turn into an online survey for GNH volunteers to take. We emailed the survey to Joey and she distributed it to the volunteers she currently has working for GNH. We have also finished analysing the data on farming up until the end of September. We think our collective moment of significance was to realize, or to remember, just how rewarding putting our hands in the earth, getting them dirty, and helping plants to grow was. We realized that our contribution will one day be of someone’s sustenance. Not only that, but it felt so primal to just be connected with the earth on such a basic level. 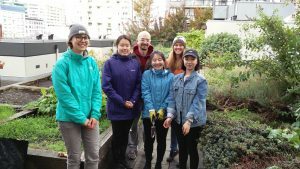 On October 11th, our group utilised the flexible learning session to go to GNH together and engage in the maintenance of one of the four urban farms, the Freesia rooftop. We were quite surprised and excited at the sight of the rooftop farm. The farm is on the seventh floor of an apartment. Surrounding the farm are the high-rises of Vancouver; the term “urban farm” fits this rooftop farm perfectly. Rooftop farming made us feel as if we had stepped back into a more simple time. We were disconnected from our collective devices and were ‘one’ with the earth. It was so rewarding and nurturing on such a basic level as to pull up weeds, prepare the soil, and plant new life that will give nutrients and energy to others. As well as the primal basics, being engaged with a community project that is tailored to one specific community, the West End of Vancouver, gave us a sense of belonging, even though all but one of us don’t even belong to that community. When we were there, Joey, the Head Farmer of GNH gave us a tour of the rooftop garden, pointing out successful and not as successful crops. Afterwards, she gave instructions to prune off some of the plants, and to weed out some of the plots that were taken over by invasive species. Throughout the time, we were all devoted in our tasks, and the time passed very quickly. When we were done, we transplanted kale plants from an overcrowded plot to the newly cleared plots. It was a very soothing and peaceful moment, and the act of transplanting felt very nurturing and blissful. This process lead to us to think about potential benefits of volunteering and of being involved in urban farming. We have noticed a change in our moods before and after helping out in the farming and we felt refreshed and calm after the session. Does getting our hands mentally benefit individuals? – the answer to us is, YES, it most certainly does. There have been programs in called ‘therapeutic horticulture’, ‘green care’ or ‘ecotherapy’ in many parts of the world, where interaction with nature are utilised to improve the mental health and well-being of individuals (Sempik & Aldridge 2012, Haubenhofer et al.2010). In recent studies, Harris (2017) has found that these benefits are not dependent on the individual’s’ interests in nature or gardening and that it is the feeling of empowerment after engaging that allowed for improved well being. These findings are significant in our project as we see therapeutic benefit as a positive impact brought to the volunteers by the Urban Farm program. Often times, it is difficult to engage and understand the material we learn in school as we can feel distant from the material itself. Some common thoughts that come across our minds are: How is learning this helpful? Will this information be relevant in the future? Due to this, learning can feel like a task to be completed and forgotten later rather than a meaningful and long-lasting addition to our awareness of the world. The GNH urban farming session gave us a rare opportunity to bridge the gap between the concepts we learned in an academia setting and the application of this knowledge in a real-life situation. By directly engaging with the community, we are able to gain insight on different perspectives that we would otherwise miss. This problem is addressed in the paper by Bang et al., where they state that diversity in perspectives can bolster our understanding of what we study, ultimately enabling us to obtain more accurate results (2014). During our farming session we realized the difficulty and unpredictability of managing and maintaining an urban farm. For instance, due to the relatively large distance from the GNH building, the Head Farmer can only visit the rooftop garden once a week. Crops like tomatoes, which require more frequent care, did not thrive on the rooftop garden. 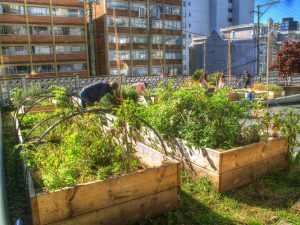 From previous research, we learned about the potential benefits of urban farming, such as improving community food security and social benefits. However, by participating hands-on, we realize the amount of work that urban farms entail and the many difficulties that may arise. As a result, we were able to grasp the reality of urban farming, not just the theoretical aspects involved. Taking into account our own perceived mood change during our farming session, we can ask new questions assessing the potential therapeutic benefits of volunteering at GNH. In addition, since our understanding of the potential complications involved in urban farming as improved, we will now be more aware of our own biases and privilege when we enter new spaces. To make a list of questions for other stakeholders and for end-users. We will address the end-user survey with pen and paper instead of an online survey to make room for the fact that some end-users do not have a constant, reliable internet connection. To collect responses from volunteers and stakeholders in order to create an initial framework for our final report data analysis. To keep collecting harvest information (quantitative data) and add to log summary tables. Frequently and actively communicate with community partner and within group via emails and social media to acquire updated information. To obtain more hands on experience and assist with fall and winter farm management. Aldridge, J., & Sempik, J. (2002). Social and therapeutic horticulture: evidence and messages from research. Urban Farming, Here We Come! Have you ever wondered if urban farming or gardening will make a positive impact of food security? Does input from community members matter when making decisions regarding local food choices? How much impact does community farming have on the community it is meant to serve? 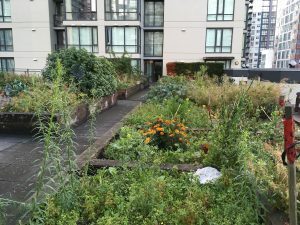 We are very much looking forward to collaborating with the Gordon Neighbourhood House working on measuring the impacts of urban farming in the community of the West End in Vancouver and finding out the answers to these questions! 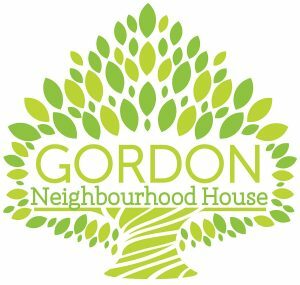 The Gordon Neighbourhood House (GNH) is a community gathering place for West End residents since 1942 and has a food philosophy revolving strongly around the concept of community food security and a dignified right for everyone to have access to healthy, affordable food. Community food security is defined in our LFS 350 course notes as “all individuals in a community having access to affordable, safe, culturally appropriate, ecologically responsible and nutritionally adequate food at all times.”,and Gordon Neighbourhood House embraces this concept wholeheartedly in their collaboration with a wide array of members from the community; thereby providing programs which are a direct reflection of the community itself. Variety of educational and recreational activities are provided to people of all ages throughout the week, helping them to be connected with their neighbors and the whole community. We are a group of LFS students with different academic backgrounds and majors but we are all concerned with different aspects of food. We have been brought together by common interests in local food security, urban farms and our love for food and of growing food! We were all particularly interested in the “Measuring the Impact of Urban Farming” project provided by Gordon Neighbourhood House because of their commitment to food justice, and the ability to see and try to understand the issues regarding food insecurity in highly diverse, inner-city neighbourhoods. A side bonus of the project is to further understand and implement our newly acquired knowledge of asset-based community development (ABCD) through the lens of urban farming, community food security and food justice. To gain hands-on experience with farming and interacting with the community through volunteering at each of the four farm sites and participating in each of the food-focused programs. To collaborating with the community partners and stakeholders by actively listening to what they have to say and learning about the community, and by providing questions and input where possible. To learn more about the importance of urban farming in the context of sustainable food system, community food security, and food justice through ABCD using the key end-users of the system as valuable input data. Our project objectives with the GNH are to work alongside the head farmer with all farm-based activities at the urban farm, such as harvesting, watering, and weeding at all the nieghbourhood urban farm sites. We will help collect data and stories from the farm volunteers and other contributing stakeholders using a specific set of questions which will be used for the Annual Farm Report and for future farming projects. We hope to learn views from the community members of the Gordon Neighbourhood House and their activities through interviews using a specific set of questions. This data will also be used for the Annual Farm Report and for future farming projects. 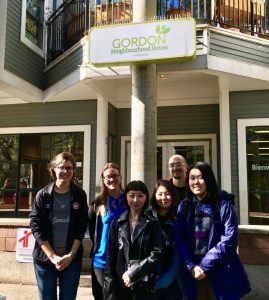 During our first encounter with Gordon Neighborhood House (GNH), we were very delighted and pleased to see how the concepts we learned and discovered in class were relevant and alive at GNH. This is because some of the concepts learned in class might have sounds like utopias, such as being able to create a place where people from every culture, background, gender, religious belief, etc., could interact together in harmony and mutual respect. But far from utopia, GNH seems to make it happen every day using many community building tools, such as urban farming and other food-based events revolving around their urban farms. Another very important aspect that we discovered in class is the idea of ABCD, which is wonderfully brought to light by Mr. Sirolli and his highly eloquent TED talk. Mr. Sirolli explained through his own experience how good intentions can turn into complete disaster if we fail to recognize what the people we want to help actually want, and especially if we fail to acknowledge the talents and potentials already present within the community. We were then delighted to hear from real organization, here in Vancouver, how important and present in their mind the ABCD concept is! They were committed to leading workshops lead by community members (rather than external “experts”). We are truly looking forward not only play a humble part in this organization but to learn how to channel our intention and help in a way that actually supports community growth. Interests: One of the things I have learned about myself in the past few years is my passion not only for healthy food and a healthy population, but also for growing healthy food and teaching the younger generations what food is, where it comes from, how it is sustainably grown, and how to use all parts of it; essentially, food justice is my passion. I truly believe that urban farming is more important now than ever before; food insecurity is seemingly on the rise, and climate change is wreaking havoc on our crops and weather patterns. Community food security is the main focus of my studies and takes precedence in my future goals as an FNH graduate. I hope to learn from the Gordon Neighbourhood House and the successes and failures of their programs to better my understanding of food justice and how ABCD is put to practice in the community. Interests: My main interest is gardening. This is why I signed up for the Urban Farming. I really enjoy the achievement and happiness when I harvest vegetables that are grown and taken care of by myself. Growing process may not be much enjoyable since you have to water and weed frequently, but you can gain a better understanding how our food comes from and gain fresh organic fruits and vegetables with better taste. Gardening also enables family members and neighbors get connected by working together and sharing locally-sourced foods. And I think that is one of the goals that the Gordon Neighborhood House wants to achieve. It is going to be an awesome chance for me to learn more practical gardening knowledge through the visit to the farm and to see the impact of urban farms on the community. Interests: Being born in Europe’s countryside, where growing your own food is just as normal as brushing your teeth at night, it is without surprise that food as become part of my identity and the driving force of my career choice. Living now in cities in North America, I release that knowing where food come from, how it should look like, how it should taste like, and how to grow your own food is far from being common knowledge as I previously thought. I see on a daily basis how city living can easily take precious and ancestral knowledge away from us, one generation at the time, and turning us into docile consumers relying of the food industry for nutrients and information. My interest, as a future health practitioner, is to invite my patients and the public to go back to their own distinct history and culture, and see what they can learn from their ancestors that could transform their current relationship with food, sustainability, and long-term health. Interests: Learning more about using fermentation in the production of food. I choose this project because I am interested in the process of growing food, especially in an inner city context and I found the Urban Farming project to be a perfect opportunity. Working in the lab is fun, but I am really excited about the opportunity to get my hands dirty in the Urban Farm Project with GNH! Previous LFS courses have taught me the importance of role of community in a sustainable food system; but I feel that the sense of community is weakening in today’s society. One of the things I am looking forward to the most through this project is to observe with my own eyes how GNH utilizes “food” as a vehicle to successfully bring the community together and learn some ways to combat the loss of sense of community. I am really looking forward to working with the team and the community on the Urban Farming Project! Interests: As a Food Science Major, I mainly study the biochemistry and microbiology of foods and how it pertains to food processing, engineering, and safety. As described, my field of study does not touch much on nutrition and agriculture. However, that is not to say I am not also interested in these other aspects of food and food production! With this urban farming project in cooperation with the Gordon Neighbourhood House, I hope to integrate my studies and supplement my basic understanding of our local food system. This project particularly piqued my interest as I find that urban farming will be increasingly relevant and essential in the coming years. This is because climate change and socioeconomic divides have exacerbated and it has become more imperative to effectively and swiftly address these issues. Eating more locally grown foods has a smaller carbon footprint, increase accessibility to fresh and healthy food and provide a tangible connection to our community. I am definitely looking forward to working in the community of the West End and increasing my food literacy! Interests: I am Athena Yaoutsis, a 4th year Plant and Soil Science student. I love plants and growing food so I’m quite excited to be working on the Urban Farm Project at Gordon House. It’s important to me that people know where their food comes from and how it is grown. As a resident of the West End I see how easy it is to separate city life from an agricultural setting where our food is grown. I’m excited to contribute to the community and observe how the Urban Farming Project gives West End residents an opportunity to see where their food comes from and allows them to have access to healthy, locally grown food.